Lake Seyfe is 30 km away from Kirsehir and 220 km away from Ankara. It is salty internal lake formed base of a closed catchment area in 16 km distance to district Mucur and formed in a tectonic pit. In the lake, there are many large and small islands on which birds incubate. Tumulus around the lake, natural flora surrounding the lake, scenery of turquoise lake, magnificent imaginariness formed by crowded bird groups have the potential of bringing many people to the area by improving the substructure which gives the opportunity of tourism. As a result of observations, it is determined that there are 186 bird species in the lake. 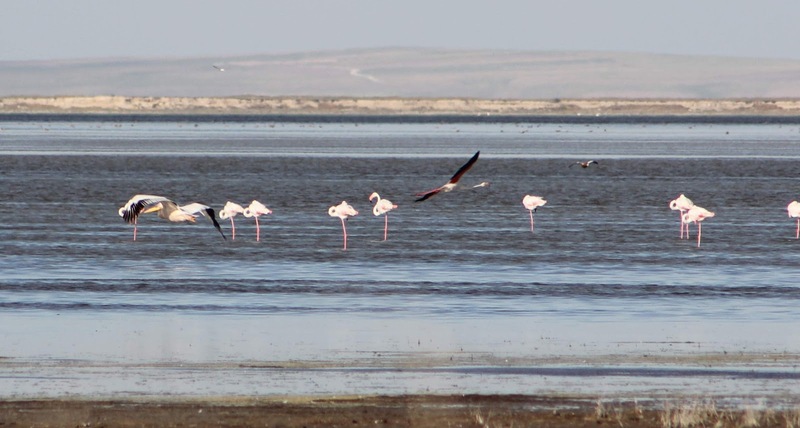 Groups of birds in particular, the formation of flamingos, offers a non-saturation view for bird watchers. Hunting was forbidden in the lake. The lake is also first degree natural site area. The protection of natural structure and ecological character of the area is pledged in international level by Ramsar Agreement in 1994 (the agreement of watery areas which has been international importance). The area includes 10700 hectares with continuous and temporary lake area.